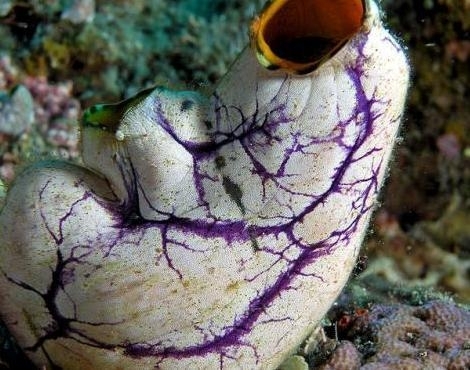 The Sea Squirt is an immobile filter feeder that live on the ocean floor. 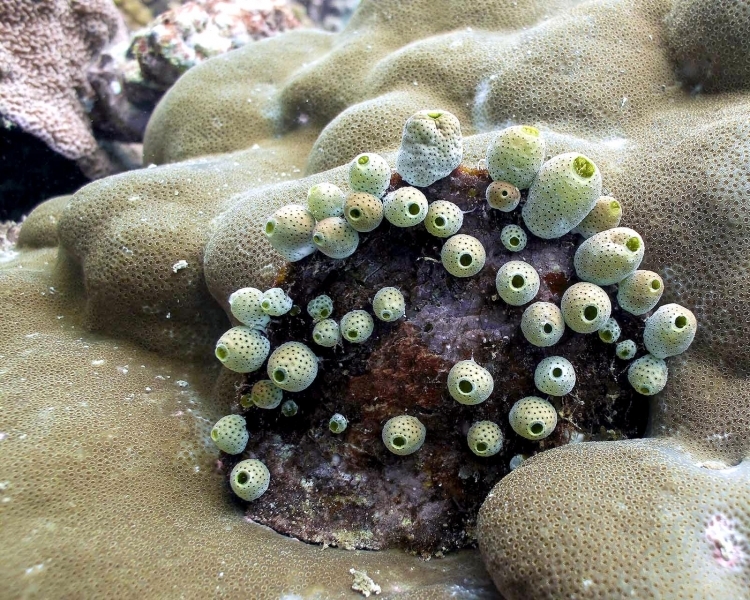 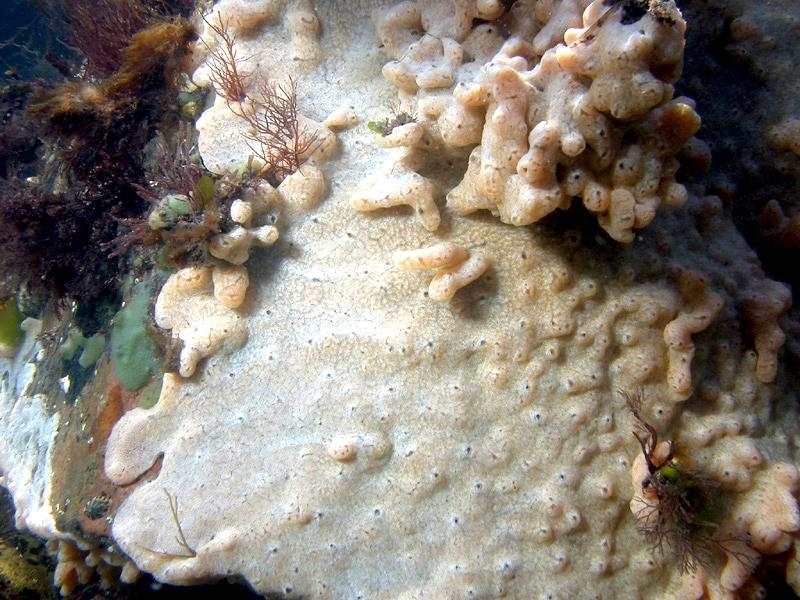 Despite their plant-like appearance, Sea Squirts are actually more closely related to vertebrates than they are to invertebrates such as sponges & coral. 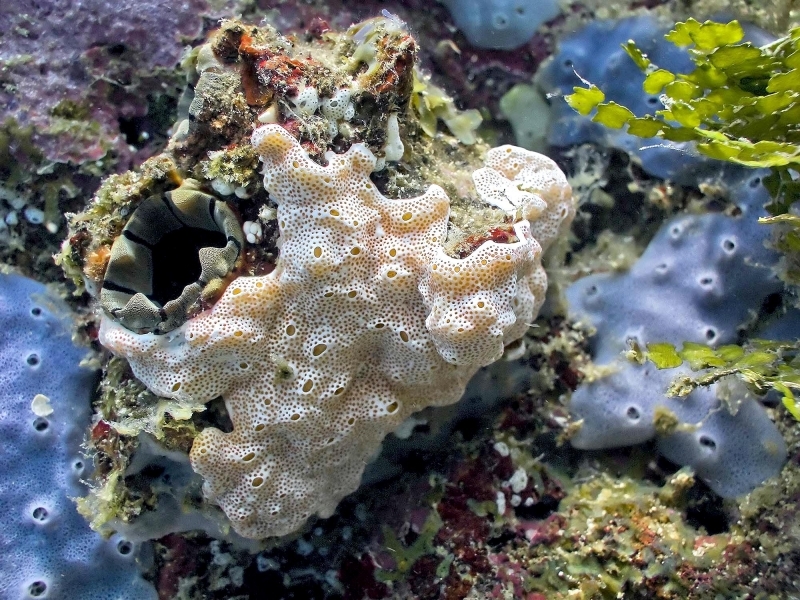 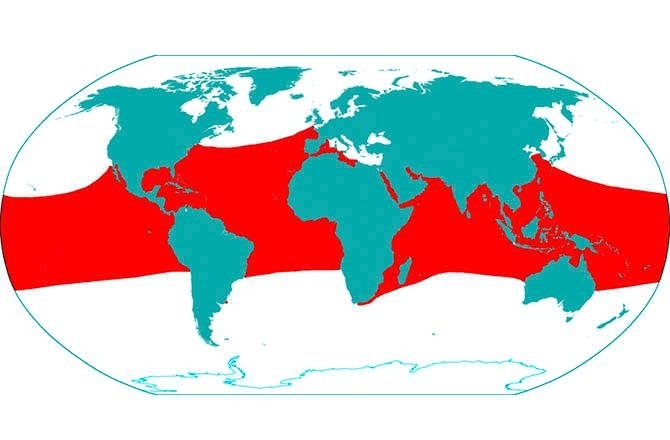 There are more than 3,000 known Sea Squirt species found on the seabed around the world, with the majority of Sea Squirt species being found in the warmer, nutrient-rich tropical waters. 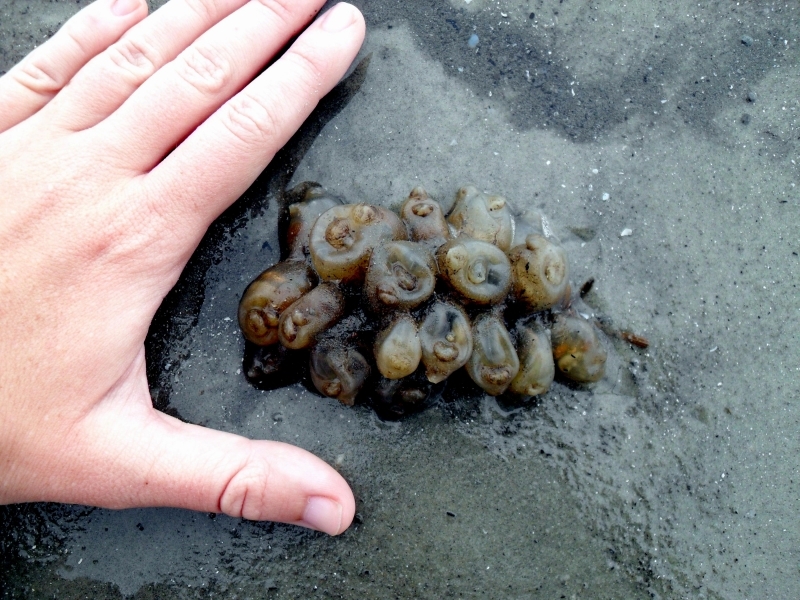 Sea Squirts are also called “Sea Grapes” because a pack of Sea Squirts looks like a bunch of grapes. 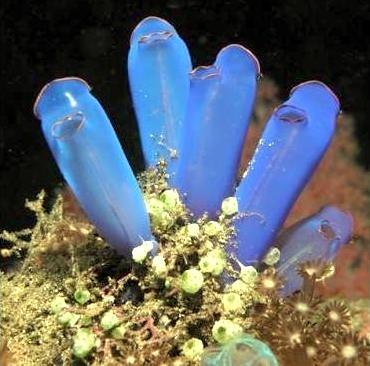 Sea Squirts belong to a remarkable group of undersea animals called Tunicates which are sac-like filter-feeders that live on plankton & organic matter they strain from the water they pump through their bodies. 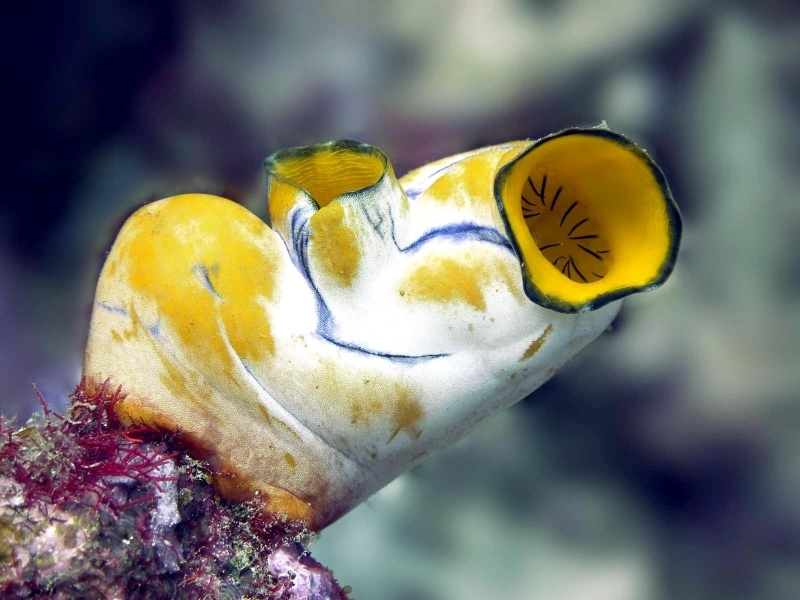 Although one could hardly tell by looking at their squishy bodies, Sea Squirts are also part of the phylum of “chordates”, the group of animals that include fish, birds, reptiles and mammals. 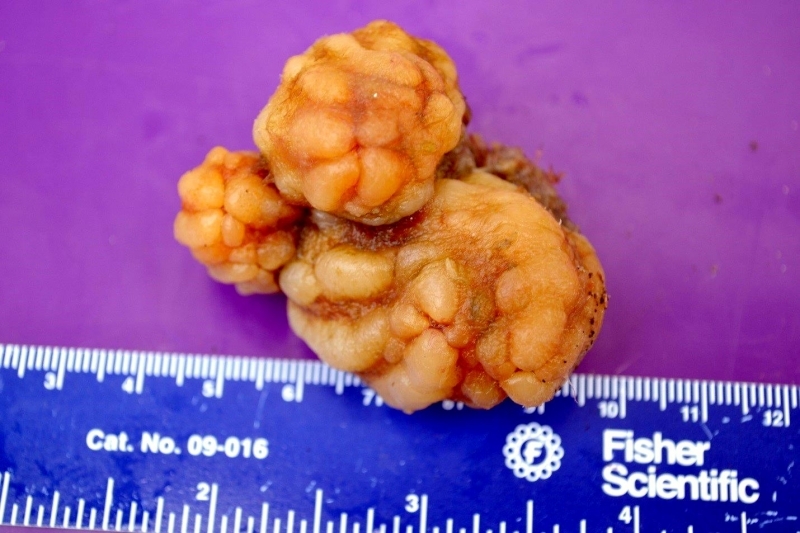 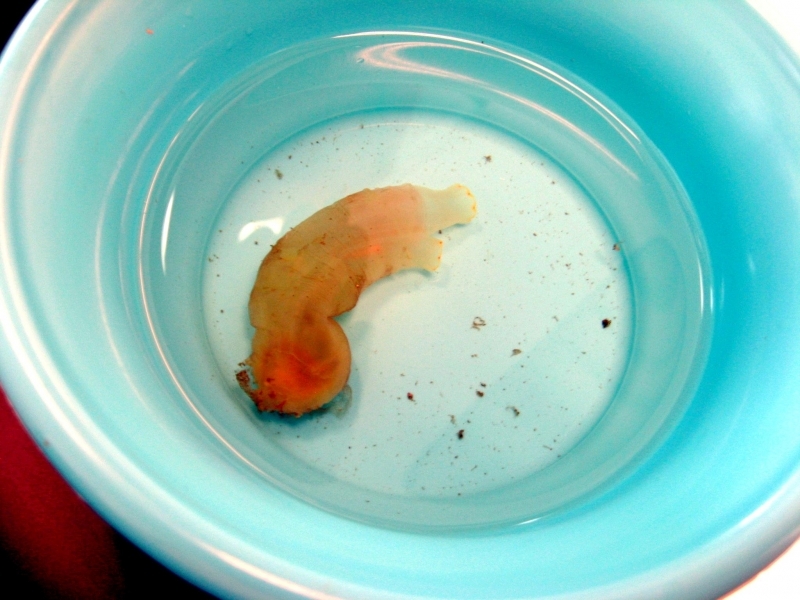 This is because in their larval stage, Sea Squirts have many of the anatomical features of vertebrate animals. 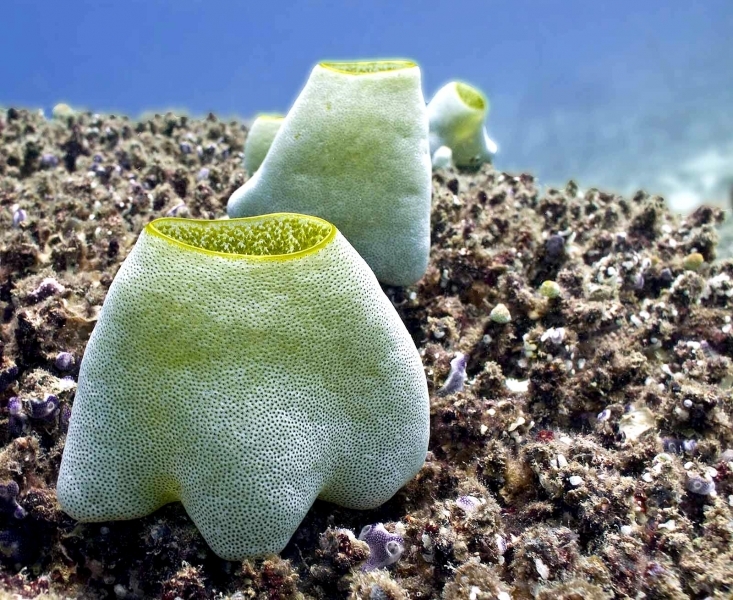 Sea Squirts can vary from just 3 to 30 centimeters in length depending on the species of Sea Squirt and its habitat. 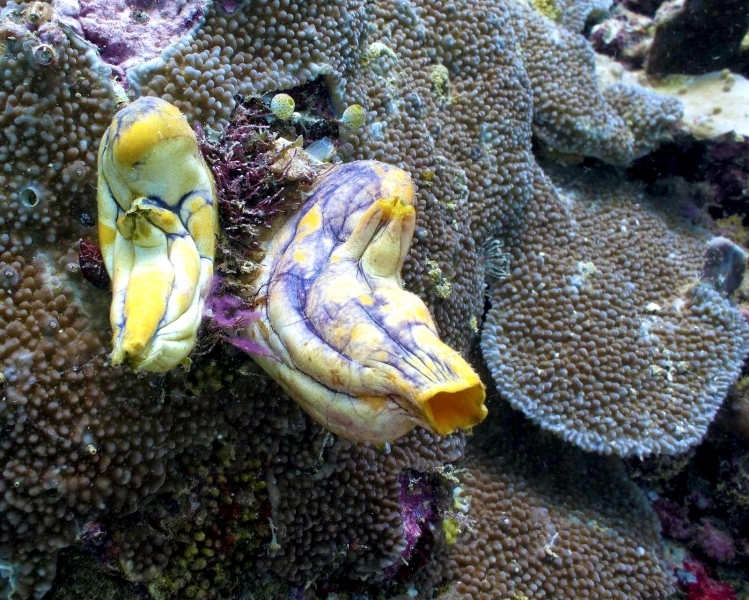 Sea Squirts can be found in variety of colors & shapes due to the fact that their bodies are made of one solid structure rather than having a skeleton, which is protected by a membrane just a few cells thick. 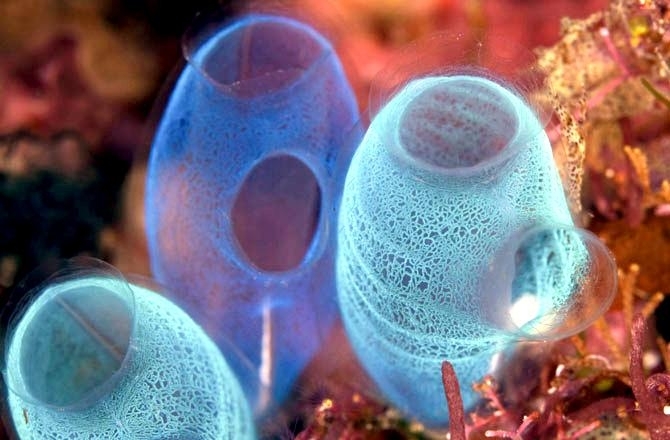 Sea Squirts are normally cylindrical in shape, but can also be round or even bell-shaped. 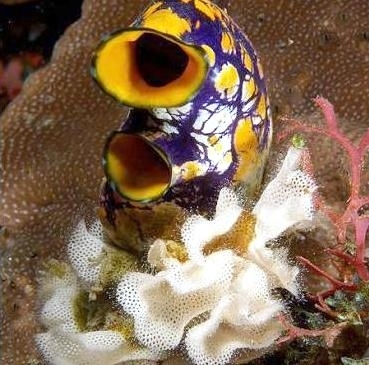 Sea Squirts are filter feeders which means that they feed by filtering the nutritious particles out of the water. 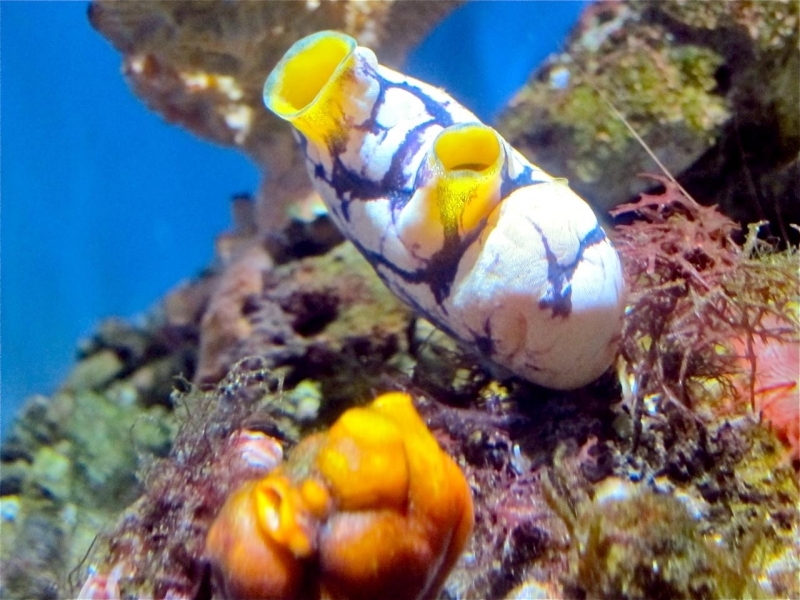 Sea Squirts filter the sea water through slits in their membranes, taking food & water in and letting waste & excess water out. 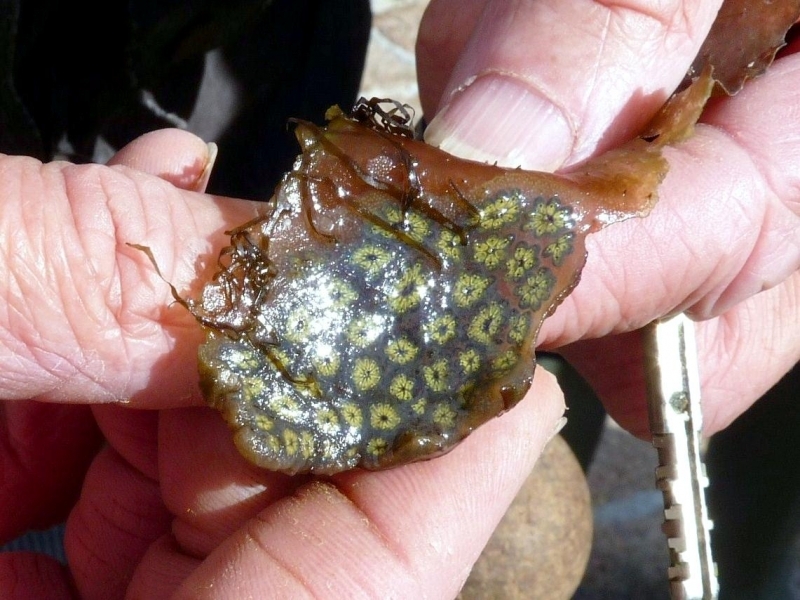 Sea Squirts primarily feed on the plankton and nutrients in the water along with the algae that grows on them. 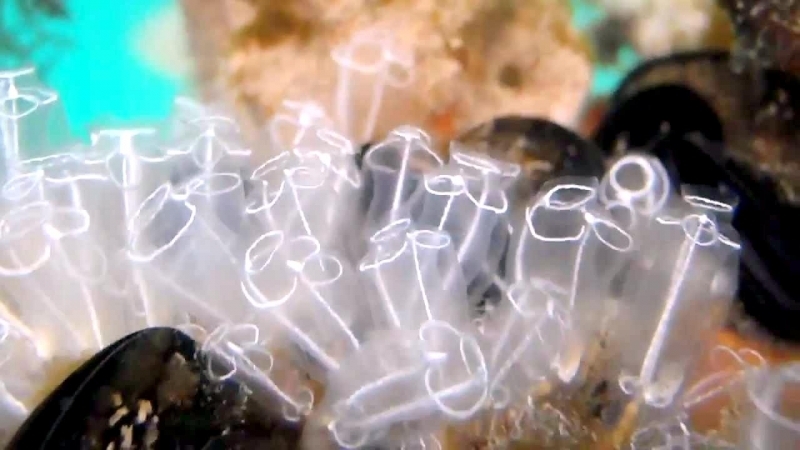 Many larger Sea Squirt species have stick tentacle-like appendages which catch food particles as they float past. 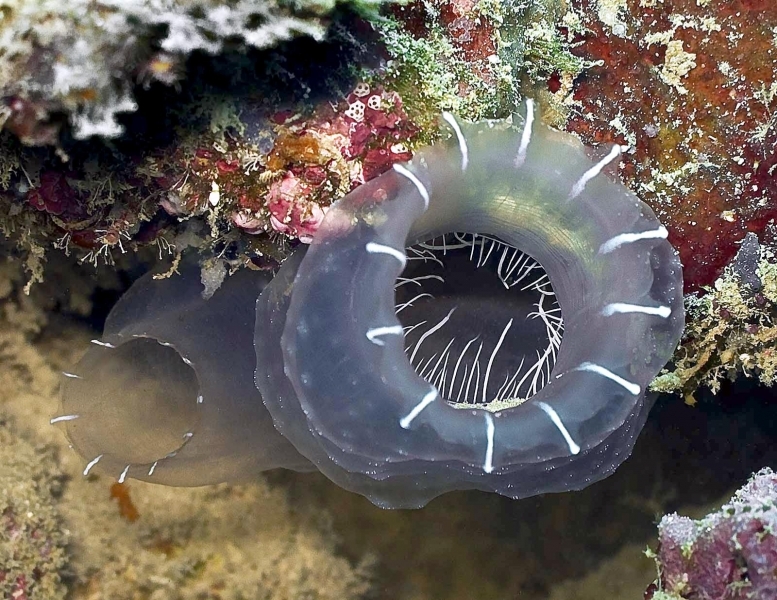 Some really large species of Sea Squirts that are found in the deep ocean, are even known to trap & ingest small animal including fish & sea jellies. 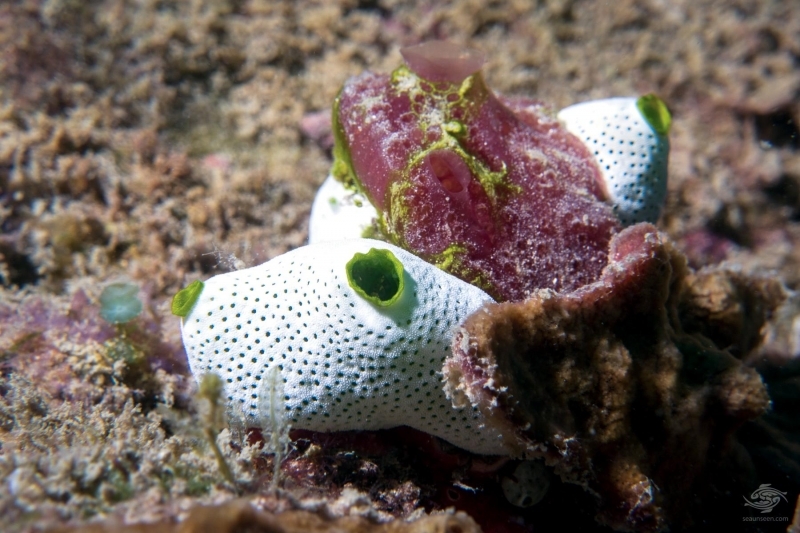 Due to the fact that Sea Squirts attach themselves to objects from a very young age, they are often sitting targets for hungry passers. 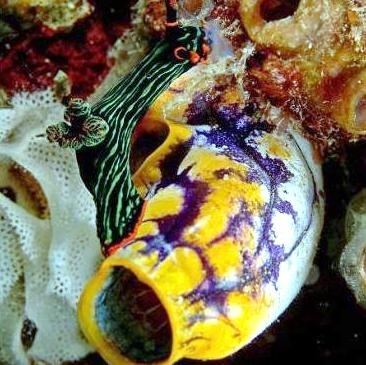 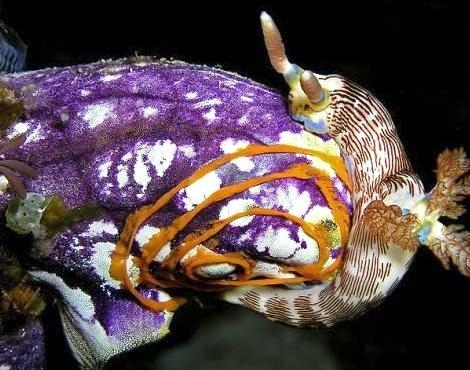 Snails, crustaceans and eels are the most common predators of the Sea Squirt along with some species of larger fish. 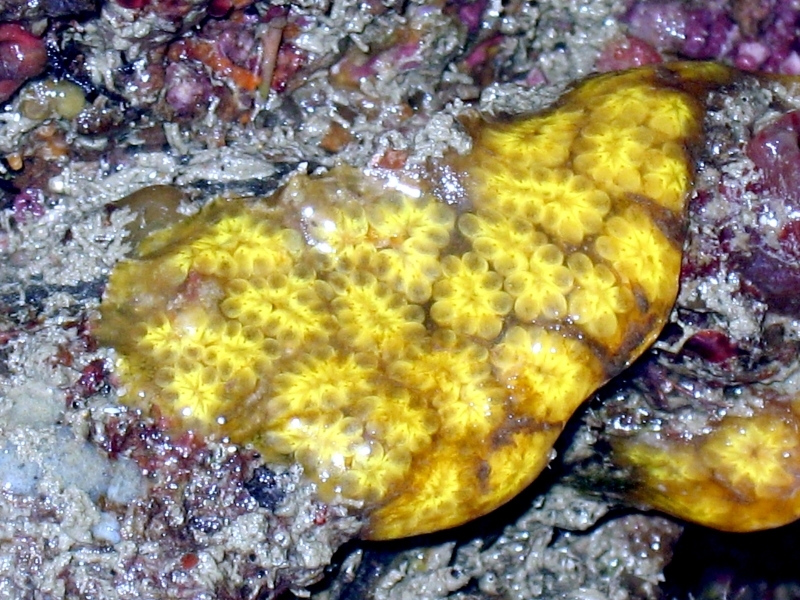 Sea Squirts can reach 0.2 to 4 inches in length. 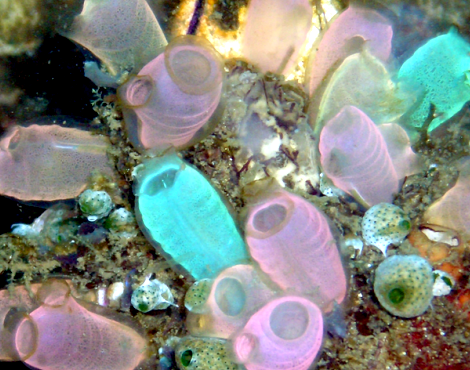 Sea Squirts can be green, yellow, red, orange, pink, blue, brown or white colored depending on the species and its habitat. 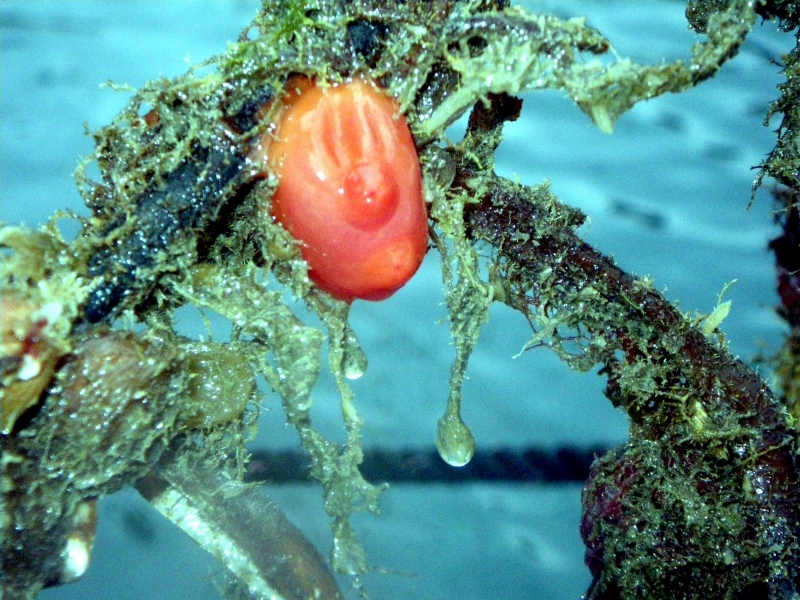 Body of Sea Squirt is covered with membrane called tunic, which consists of living tissue with its own blood supply. 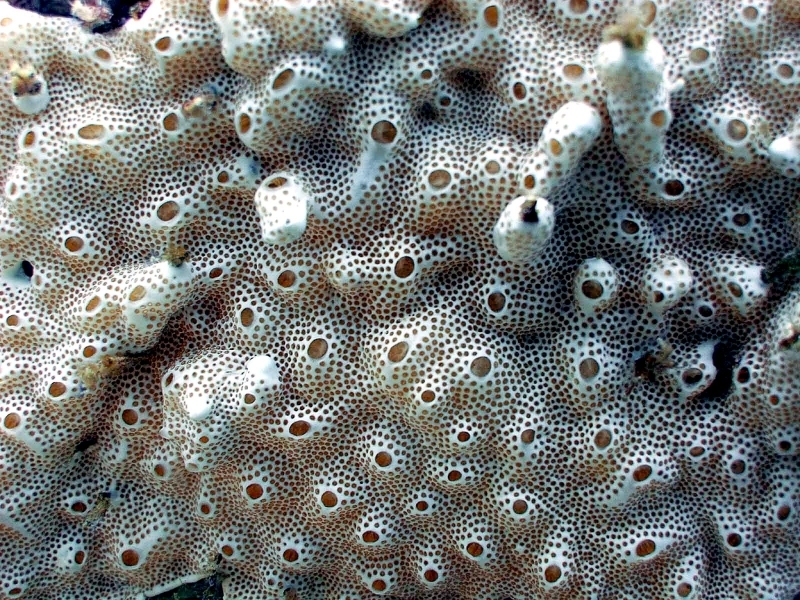 Tunic is usually smooth and very rigid. 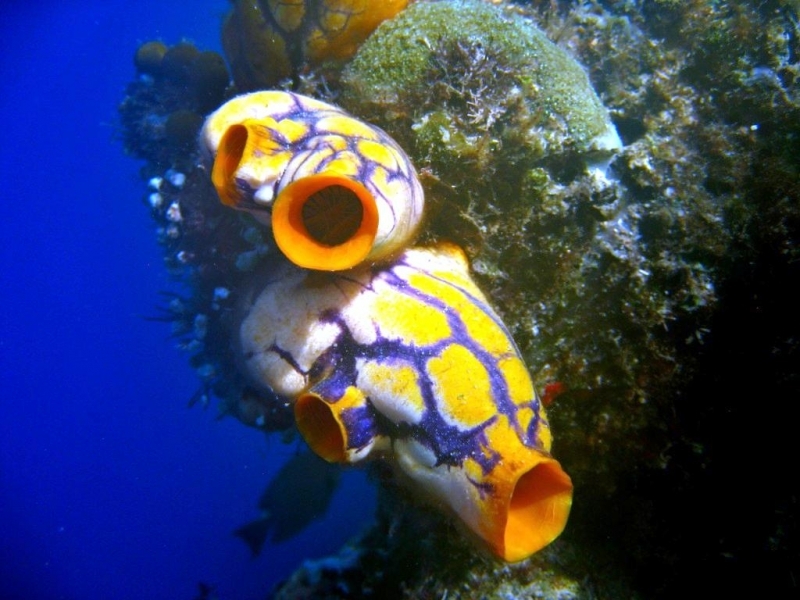 Sea Squirts have sac-like, cylindrical (rarely roundish or bell-shaped) body with 2 siphons on the upper side. 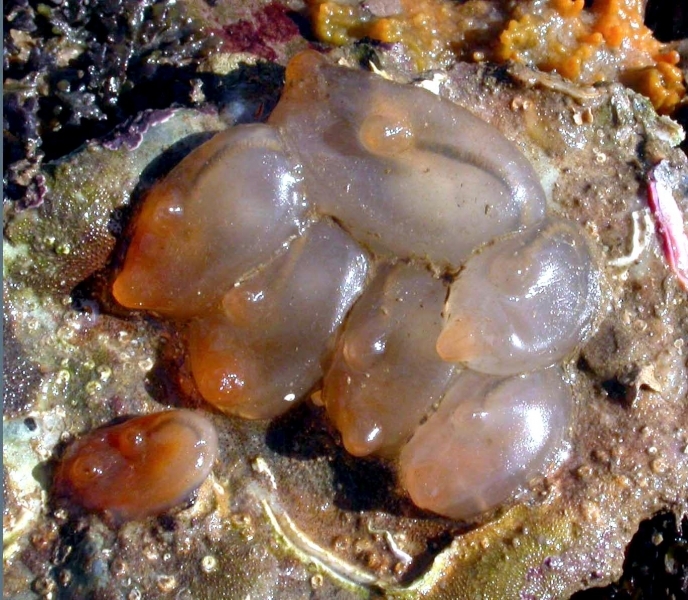 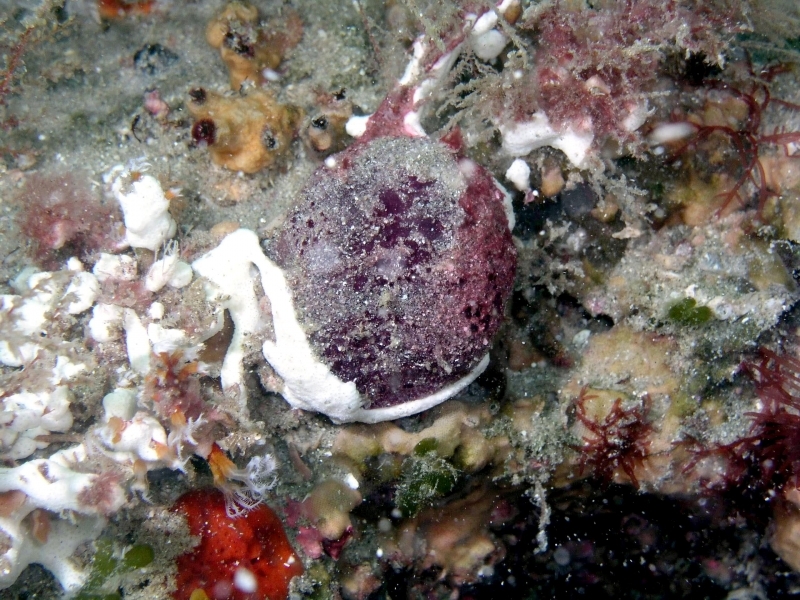 Sea Squirts often form colonies that look like grapes or rubbery blobs on the seafloor. 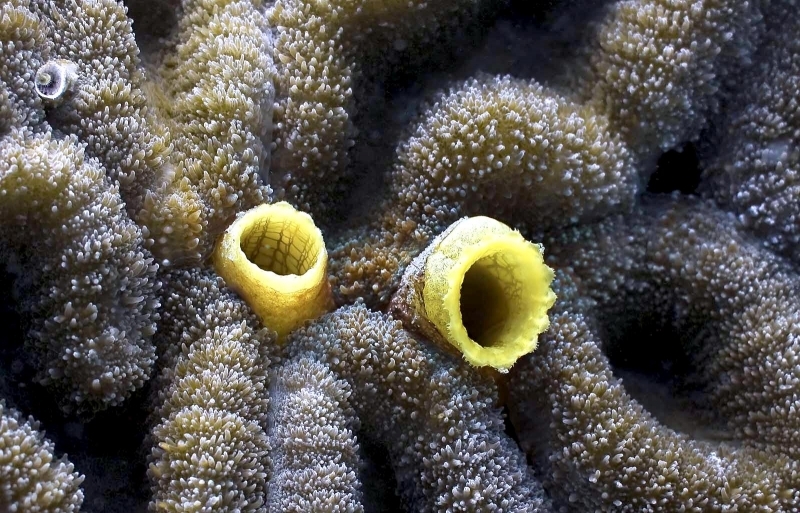 Sea Squirts are filter feeders. 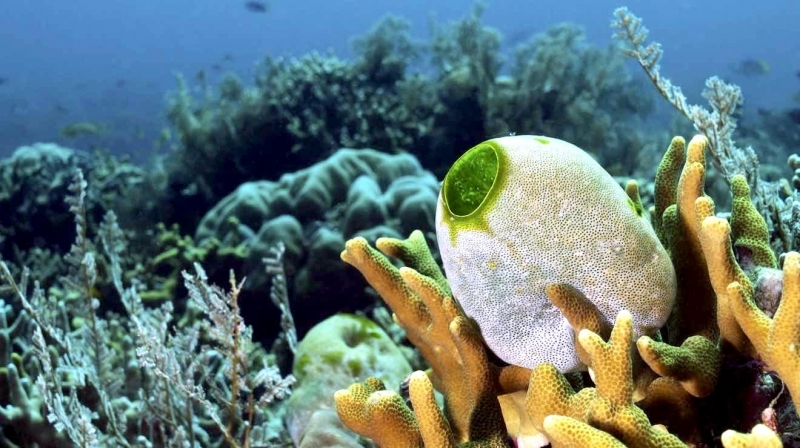 It absorbs water with edible particles through the siphon and separates plankton & algae from the water in the pharynx and lower parts of digestive system. 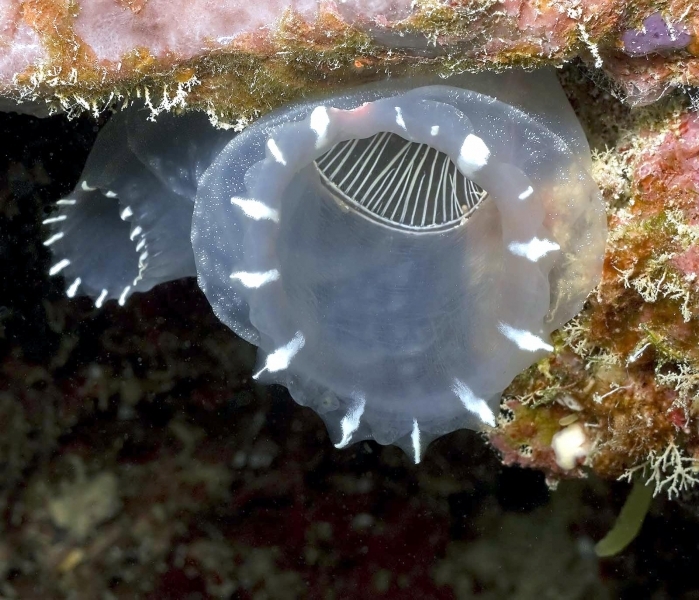 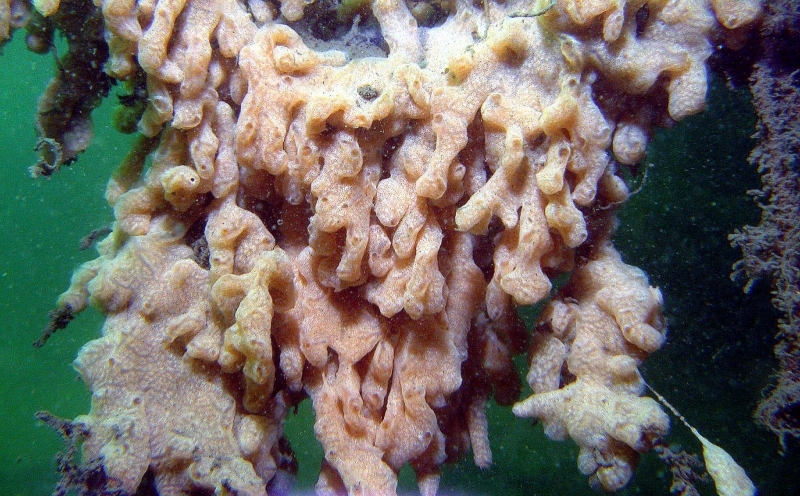 Some species of Sea Squirts use tentacle-like structures to catch sea jellies and small fish. 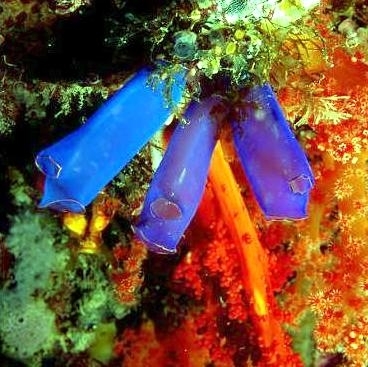 Sea Squirts use second siphon for the elimination of waste products. 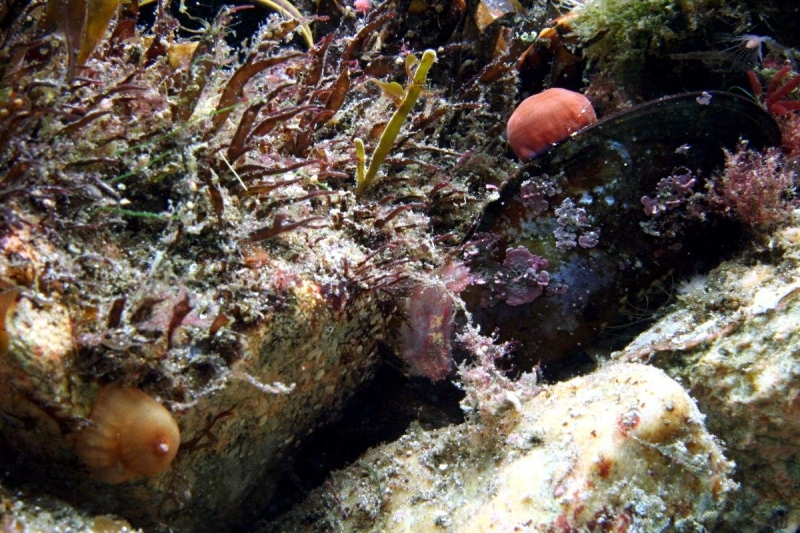 Natural enemies of Sea Squirts are eels, large fish, snails, sea stars and crustaceans. 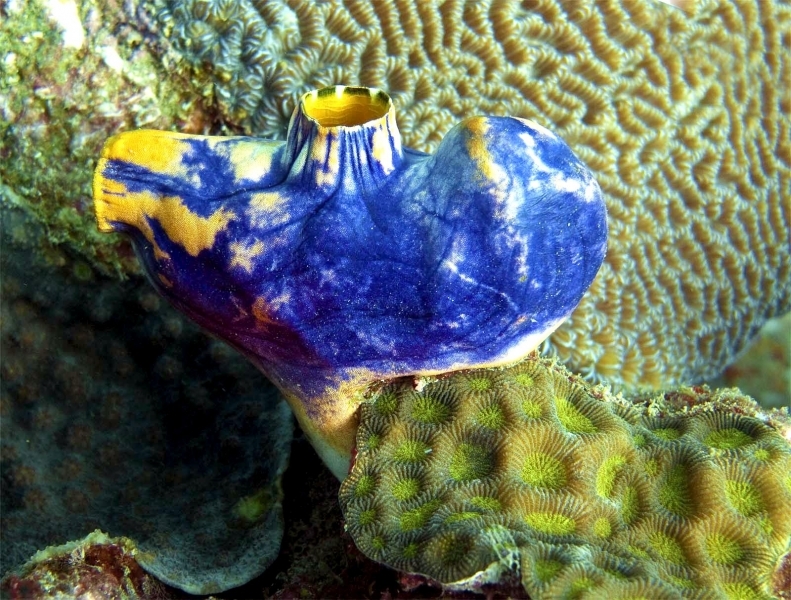 A Sea Squirt ejects water from the siphon as a response to touch or when someone tries to pull it out of the water, hence the name “Sea Squirt”. 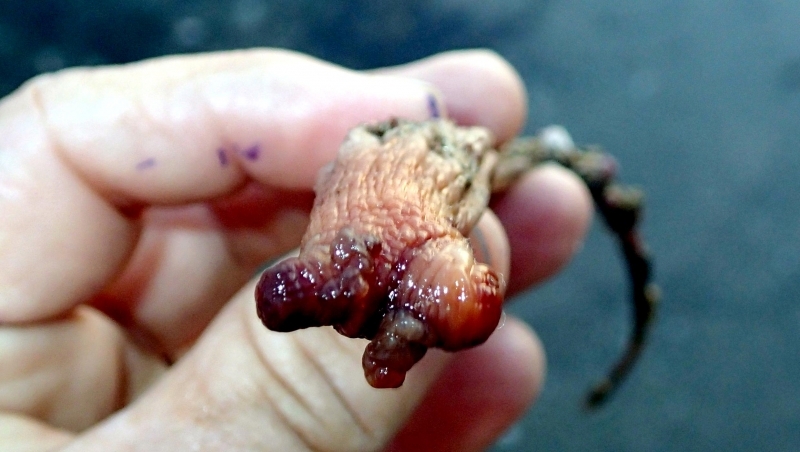 Sea Squirts have both types of reproductive organs. 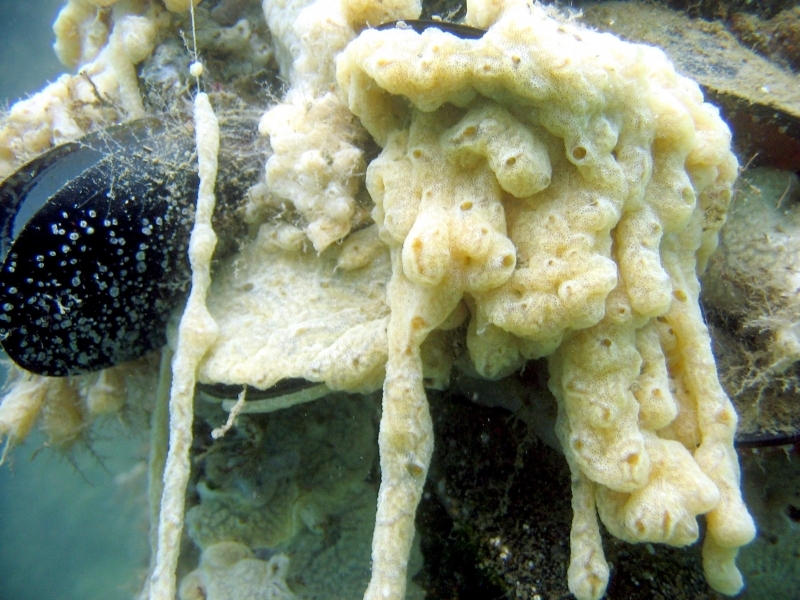 Each animal releases eggs & sperm cells directly into the water, where they mix and merge with sperm cells & eggs of other Sea Squirts (self-fertilization happens rarely). 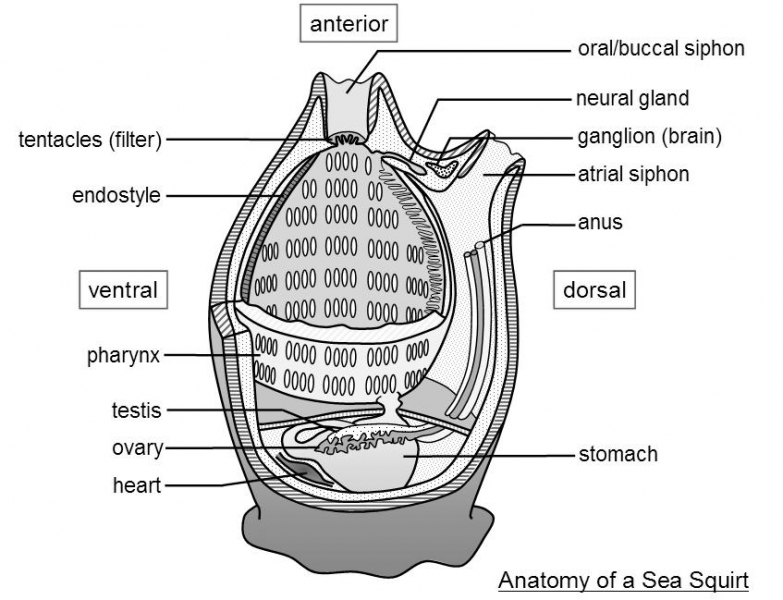 Fertilized eggs float as a part of zooplankton from 12 hours to 3 days. 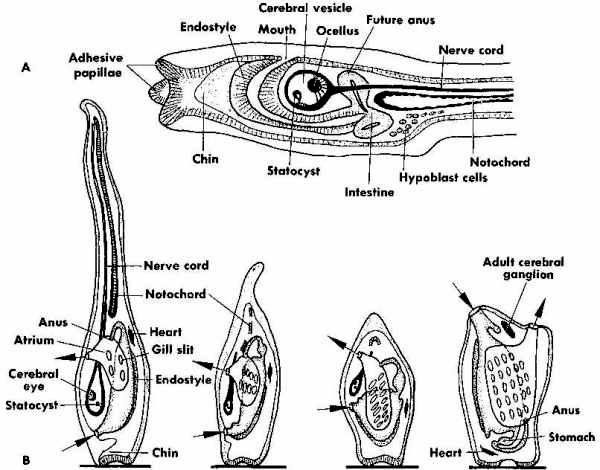 Larvae have numerous anatomical features of vertebrates and they look like tadpoles. 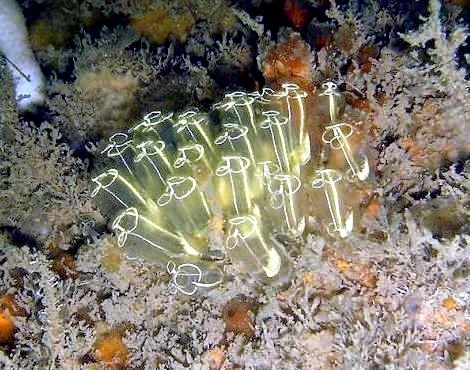 Shortly after hatching, larvae migrate to the ocean floor to find suitable spot where they will spend the rest of their life attached to the substrate. 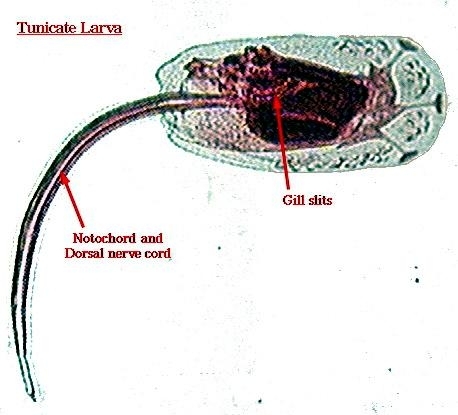 Larva attaches to the rock or some other solid object and starts digestion of its own body parts: tail, primitive eye, cerebral ganglion (brain-like organ) and notochord (spine-like structure). 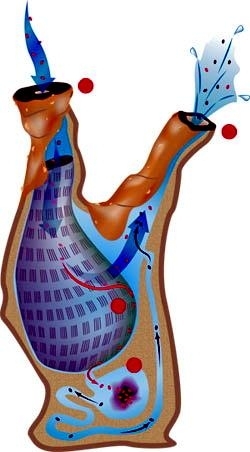 This process usually lasts 36 hours and leads to creation of sac-like creature equipped with 2 siphons and circulatory, digestive and reproductive systems. 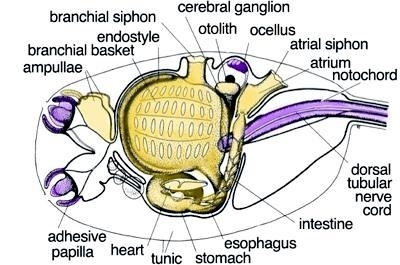 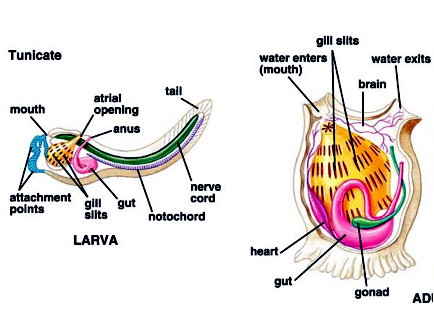 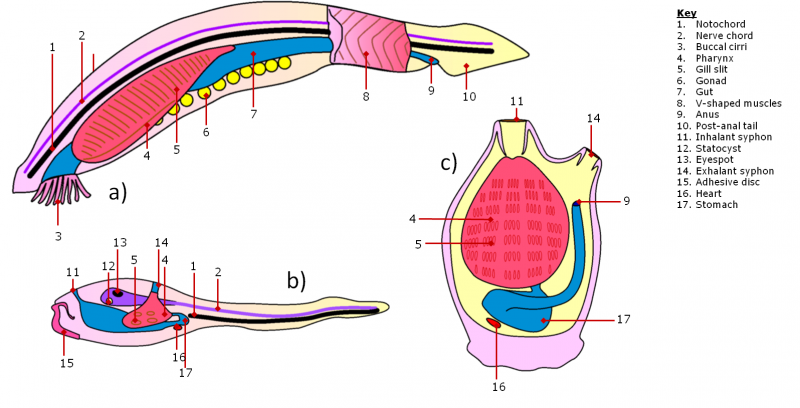 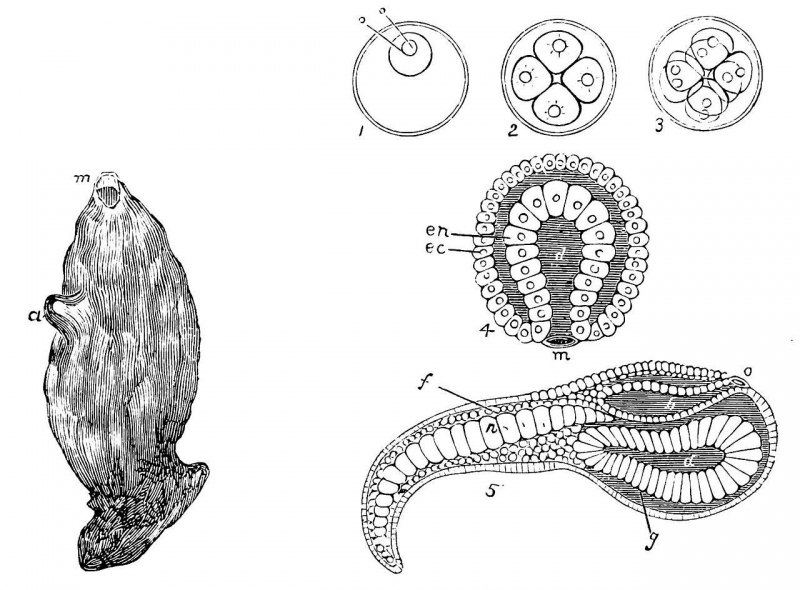 Sea Squirts undergo retrogressive metamorphosis, which means that very complex anatomy of larva transforms into very simple anatomy of adult animal. 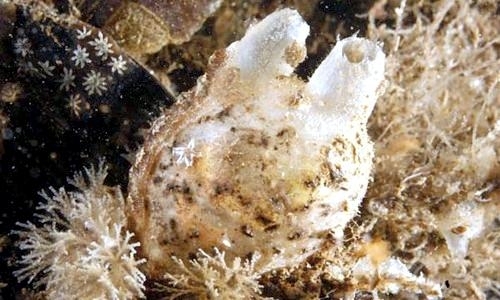 Sea Squirts reach sexual maturity at the age of few weeks. 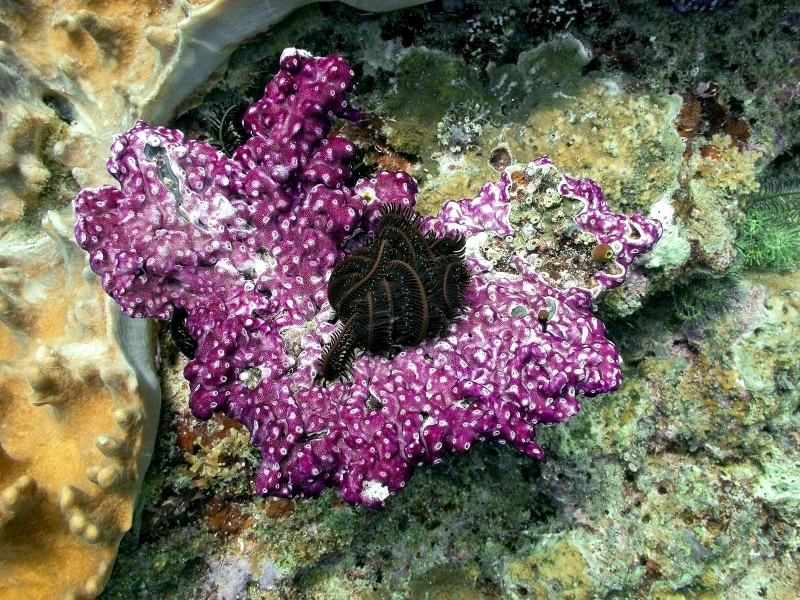 A Sea Squirt can survive 7 to 30 years in the wild depending upon the species.